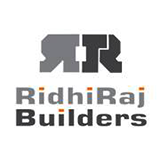 Propelled by the energetic vision of young entrepreneurs who abide by the ethics of their predecessors and lead the brand with dynamic contemporary acumen; Ridhiraj Builders has proven itself to be a front runner in the realm of Real Estate Development. A brand that's focused on evolving the plethora of offerings that the Real Estate sector has to offer in Rajasthan, Ridhiraj Builders strive to create a niche of their own by presenting iconic projects to their distinguished patrons and giving them the residential pleasures that are rarely obtained while choosing any other existing equivalent. Positioned as a 'Super' Luxury service provider Ridhiraj Builders as a brand provides possessions to the upper crust of the society which have been tastefully designed, developed and created by celebrated experts from the industry. Right from handpicking the most premium and posh locations to planning of the project and adding unique stand-out features to each project, over the span of time, Ridhiraj Builders have developed an identity of a trendsetting brand, that provides the perfect match to the towering expectations of its affluent and class driven consumers.